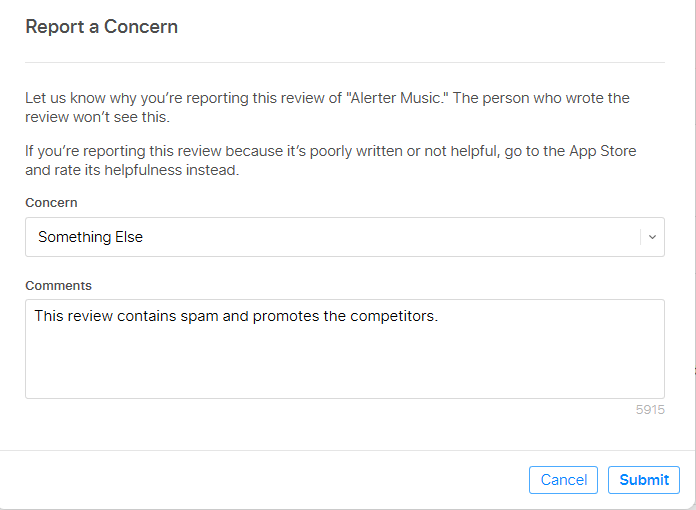 Reporting a concert is an effective method to clean your app page from offensive content. Usually it helps improve your conversion rate as new users don’t see this negative and more likely to download an app. Fill in the description box and tap "Submit". As soon as App Store gets several similar reports, the review will be deleted. Go to https://appstoreconnect.apple.com/ and click "My Apps"
Apple removed App Store from iTunes starting from 12.7 version. To make a report here, you need to downgrade to the previous version, iTunes 12.6.3. Use the link here: https://support.apple.com/en-us/HT208079. Then App Store will ask you to describe what you don't like in the review. Fill this box in and click "Send". Pick up one, there a "Thank you for your feedback" sign will appear. As soon as the review gets several similar complaints, Google Play will deleted it or cut its rating so that it won't be visible for new users. 5. Pick up one and click "Submit". 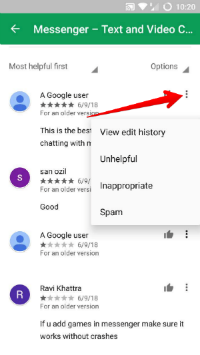 In web page Google Play marks offensive content as spam. If you want to report them separately, use smartphone or Google Play Console. 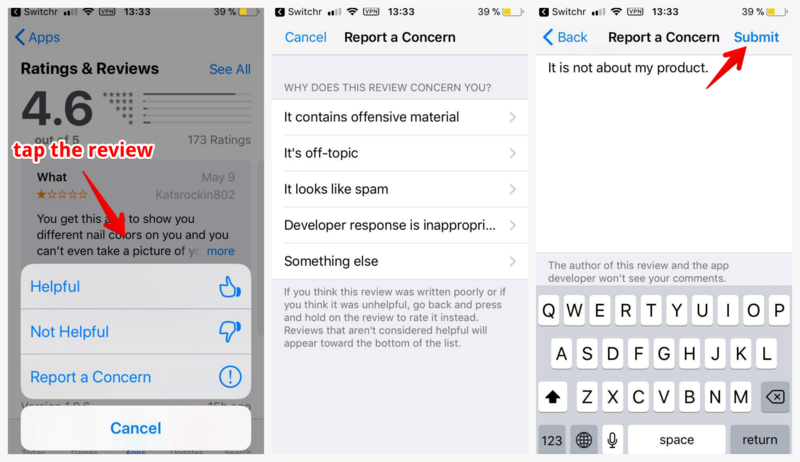 To report a concern here you and your developers must have the access to reviews. 4. There will be a sign above the review that the report is under consideration. If Google Play states that the review violates its rules, it will be deleted. Otherwise there will be a sign above the review that the report will remain there. Remember: you can send 10-15 reports only per day. If you have further questions and concerns, ask our support team using intercom red button on the right.